That is so exciting. Next month is the month. 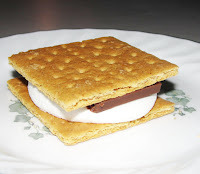 Smores are great. And as far as the "shave lotion" I will let use that excuse. :) Hope the cookout was fun. You might get your hubby back soon since the 4th is only a day away.